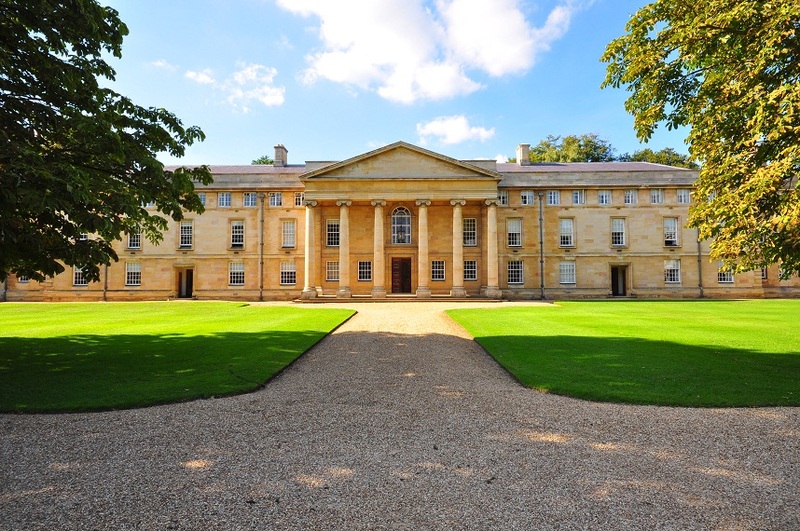 The 58th conference of the Catholic Record Society once again took place at Downing College, Cambridge this year, between 20 and 22 July. As last year, Liesbeth Corens and Dr Hannah Thomas did a fantastic job of organising the conference and they must be congratulated on a most successful event. This was also an important conference for me, as I was elected to the Council of the Catholic Record Society and appointed Volumes Editor, with responsibility for the Records and Monographs Series. It is a daunting role and I am grateful to the members of the CRS for their confidence in my ability to take charge of what has been at the heart of the CRS’s activities since its foundation in 1904: the publication of scholarly volumes on the history of post-Reformation British Catholicism. The conference began at 2.15 on Monday, with most of the papers being devoted to the nineteenth and twentieth centuries and thus of comparatively little relevance to my research. However, I was thoroughly intrigued by Ruth Barbour’s paper on John Hardman senior (1766-1844) of Birmingham, part of her ongoing research on ‘Catholics of the middling sort’ in the Midlands. Hardman was the father of the more famous John Hardman junior, who produced stained glass and metalwork for A. W. Pugin. Barbour developed many of the historical themes that are close to my heart, challenging the idea that Catholicism was in decline around 1800 and showing how men who had made their money through trade and business could assume the role of ‘seigneurial patron’ of a Catholic mission just as easily as the old Catholic families. Furthermore, she offered an intriguing aside on the anti-Dissenter Priestley Riots of 1791, suggesting that popular opinion in Birmingham was anti-Dissenter rather than anti-Catholic. Indeed, six days before the riots the priest Joseph Berington said to Joseph Priestley ‘We Catholics stand better with government than you dissenters’ and declined his invitation to dinner. Nevertheless, Berington and Priestley were friends and shared Enlightenment scientific interests; indeed, Barbour noted that the flourishing of both Catholics and Dissenters in industrial towns like Birmingham owed much to the Church of England’s failure to keep abreast of urban development. The second day of the conference began with a typically stimulating and entertaining paper on Archbishop George Errington by Dr Serenhedd James. The first panel featured three intriguing papers from Jade Scott, Jennifer Binczewski and Anastasia Stylianou. Jade Scott spoke on Anne Percy, Countess of Northumberland (1536-91) and her networks, based on her study of a series of thirty letters written by or for the Countess. Scott advanced a convincing case that Anne was the driving force behind the Rising of the Northern Earls in 1569, based not only on the comments of contemporaries but also on her role as a focus of petitions to Phillip II and Pius V on behalf of the exiles from the 1569 rising. Anne and her husband escaped to Scotland but, while Anne was sheltered by Catholic lairds, Northumberland was captured. Although by 1572 Anne had succeeded in raising an enormous ransom for him, in the end Northumberland was sold to the English and executed for treason at York. In subsequently discussion with Jade Scott I was intrigued to discover that John Fenn, the former Master of the Bury Grammar School, became Anne Percy’s Latin secretary in 1570 after Sir Francis Englefield became blind. Jennifer Binczewski’s paper on the role of widows in Elizabethan England argued that the stereotype of widows as destitute and helpless played into the hands of Catholic widows who harboured priests. 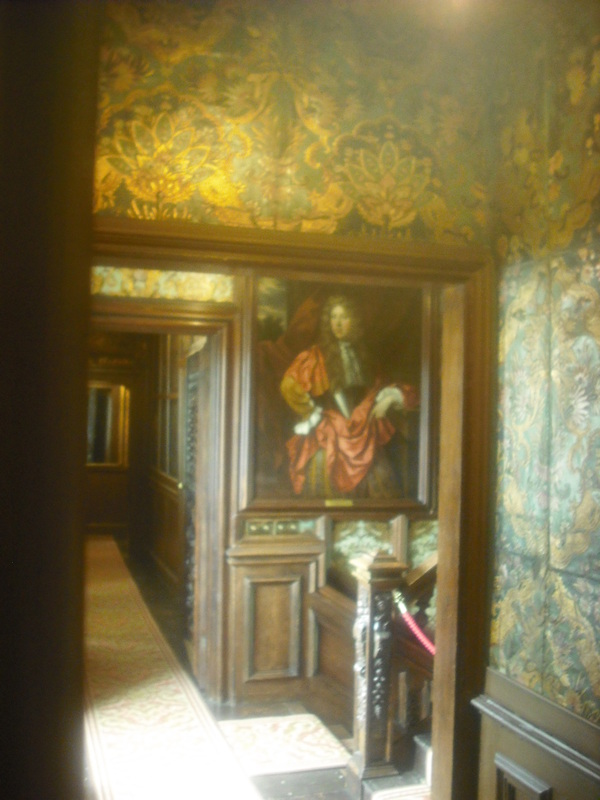 She focussed on the ministry of the Jesuit John Gerard between 1589 and 1594, part of which was spent at the home of Henry Drury and his widowed mother (Lawshall Hall) between late 1589 and early 1591. There are no doubt interesting comparisons to be made with the case of Penelope Gage, who attempted to use her status as an unprotected widow to prevent the Committee of Suffolk searching Hengrave Hall for weapons in 1643. Anastasia Stylianou delivered an extremely interesting paper entitled ‘Constructions of Blood in English Reformation Martyrologies’, in which she argued that the use of language concerned with blood underwent a significant transformation between medieval hagiography (which was strikingly ‘unbloody’) and Catholic hagiography from the 1580s onwards, in which the gory sufferings of the martyrs (as well as the ‘bloodthirstiness’ of their persecutors) is strongly emphasised. In Stylianou’s view, Catholics borrowed their language of blood from Protestant martyrologies, in an effort to appeal to a European audience. This paper struck a particular chord with me on account of my research into the transformation of hagiographies of St Edmund, King and Martyr between the late Middle Ages and the Counter-Reformation. In the afternoon, Dr Judith Champ of Oscott College spoke on ‘History and Identity: The English Secular Clergy since the Reformation’. This very thought-provoking paper presented a narrative history of the secular clergy from the Act of Uniformity to the present day. Champ noted that the traumatic transformation of secular clergy from established parish priests to homeless missionaries in 1558-59 remains the greatest change they have experienced in their history, and she argued that this transition still marks the secular clergy today. The mission from the English College at Douai was originally an emergency expedient, but even in the nineteenth century priests were still being ‘ordained on the title of mission’ and priests trained at the English seminaries were still taking the missionary oath. Champ endeavoured to trace secular attempts to overcome a sense of ‘alienation’ by creating a distinct sense of a ‘body’ of secular priests, but she noted that it was easier for secular priests to decide what they were not – pseudo-Jesuits – than to decide what they were. Borromean ideals of formation failed to take root in the English seminaries and the Jesuits (and Ignatian spirituality) dominated the training of the secular clergy. Champ noted that in the Appellants’ appeal to the Pope in 1598 they expressed a desire not to be subsumed into the Jesuits and requested a bishop with proper jurisdiction, including over the Jesuits themselves, as well as exercising governance over seminaries. On his appointment in March 1598 Archpriest George Blackwell attempted to set up regional confraternities of priests, an idea that was similarly advocated by the Appellant priest John Mush in his collection of Appellant documents, including ‘A Dialogue between a Secular Priest and a Lay Gentleman’. Champ argued for a link between the Appellants and the More family, and suggested that St Thomas More’s witness to Catholic unity ‘without slavish Papalism’ appealed to the seculars. Although William Bishop and Richard Smith, the first two Vicars Apostolic of England, proved somewhat ineffectual as bishops, they did establish a chapter of the secular clergy which, while never canonically recognised by Rome, did give the seculars some semblance of an identity. The chapter vociferously claimed rights for itself (including the right to elect a Vicar Apostolic), and in the 1660s pressed for Phillip Howard to be made Bishop. Howard encountered Holzhauer’s ‘Institute for Secular Clergy’ in Bavaria and considered imposing Holzhauer’s rule of life on the English College, Rome: in 1697 the Institute was founded in England. However, a condemnatory letter from a member of the chapter, John Sergeant, led ultimately to the Institute’s suppression in 1702. Nevertheless, the Institute left behind its own finances which somewhat complicated the finances of the secular clergy in the eighteenth century; indeed, the finances of the secular clergy were always kept out of the control of the Vicars Apostolic. This fostered the development of a corporate identity for the clergy, which resided in large part in a desire to keep a certain distance from the Vicars Apostolic, as direct papal appointees. In the 1740s the publication of Charles Dodd’s history, and his sympathetic treatment of the Appellants, produced uproar in the English church. Dodd called for bishops elected by the chapter of the secular clergy who should have authority over the Jesuits. In Dodd’s view, the pre-Reformation church was not ‘oppressed by Popes’ and he advocated the ‘independence and freedom of the secular clergy in England’. He went so far as to suggest that the secular clergy should be bound by oath to the laws of the kingdom. Dodd’s arguments were resurrected in the late eighteenth century by the Cisalpines, and John Kirk even wanted to write a continuation of his history. In the early nineteenth century Kirk and John Lingard were crucial in developing a corporate priestly identity, as well as holding distinctive views on the medieval church. They vociferously opposed Jesuit management of the English College, Rome and defended ‘the old English school’ in the teeth of Ultramontanism. By the time of the restoration of the hierarchy in 1850, Kirk and Lingard’s ideas had been supplanted, but they did leave behind a deep tradition of clerical independence, and this led to a campaign for the new diocesan bishops to be elected by chapters, led by Daniel Rock. In 1842 Rock published a circular letter to the clergy and established the Adelphi Club to campaign for elected bishops. He even framed a petition to be sent to Rome, which included an appeal for limitations on episcopal power to move priests from one mission to another. The restoration of the hierarchy was not followed by any immediate change in the status of the secular clergy: every secular priest in England had the status of ‘missionary rector’ until the introduction of parishes in 1918. Thereafter there was a much greater rediscovery of sacerdotal authority and a return to something like the settled pattern of clerical life before the Reformation. The eradication of shared lay and clerical education by the division of minor and major seminaries, along with the increasing ‘professionalization’ of the clergy, led to a more self-confident corporate identity for the secular clergy. An interesting and wide-ranging discussion followed Champ’s paper. Dr Simon Johnson noted that documents in the archives at Ushaw indicate that the existence of the chapter of the secular clergy was recognised both by the Papal Nuncio in Portugal and by the Portuguese Inquisition. The authority of the Vicars Apostolic, by contrast, was not recognised at Lisbon until the age of Richard Challoner. Michael Hodgetts suggested that, since Christopher Bagshawe managed to get Robert Parsons deprived of his fellowship at Gloucester Hall in the 1570s, the Wisbech Stirs could be understood as a continuation of academic infighting from that period. Fr Peter Harris commented on the management of secular seminaries by the religious orders, observing that it was often thought necessary for the orders to take over because the secular clergy lacked a distinctive spirituality of their own. Before the Reformation, the priest was the ‘religious artisan’ of the community, whereas priests like Lingard often lacked a sense of ‘priestcraft’. I enquired whether it might be legitimate to posit a link between Rock’s campaign for elected bishops, debates concerning infallibility in the 1870s, and even the Modernist controversy in the early years of the twentieth century, to produce a thread of English Catholic liberalism; Champ suggested there might be mileage in this suggestion. Fr David Lannon noted that the pre-1850 antipathy to Vicars Apostolic among the secular clergy easily translated to hostility towards the diocesan bishops thereafter, since they were appointed the same way. Dr Peter Doyle observed that debates about the secular clergy’s right to appoint bishops rumbled on into the 1870s and ’80s. Rome continued to insist, until the 1930s, that at least one English bishop should be a Benedictine – a relic of the Bull Plantata of 1633. Dr Peter Glazebrook noted that another major change to affect the secular clergy at the time of the Reformation was that, whereas before the Reformation many clergy lacked a university-level education, after the Reformation all clergy had the equivalent of a university education at one of the English Colleges. Simon Johnson observed that the London Procurator of the English College, Lisbon controlled funds endowed to allow priests from a particular locality to study at the college, often tied to a specific parcel of land; in this way, it could be said that secular clergy continued to be associated with geographical areas linked to a specific patron. The final major paper of the day was delivered by Dr Adam Morton, entitled ‘A Catholic Queen in the Protestant Nation: curiosity and condemnation in the career of Catherine of Braganza’. He argued that queens consort were at the heart of two strands of ‘curiosity’ and ‘condemnation’ about all things foreign in seventeenth-century England. There was a desire to experience the foreign but also anxiety about its influence on England. For instance, Wren looked to Rome for the architectural model for his rebuilding of London, but Rome was equally blamed for the Great Fire of London itself. Queens consort embodied the tensions between the Protestant state and its continuing Catholic elements, and Catherine of Braganza can only be understood in terms of her predecessor, Henrietta Maria. Catholics were woven into the court as a result of the presence of these Catholic queens, and queens were simultaneously a part of the state but also apart from it. They represented ‘Fissures in the bedrock of the British state’, since marriage articles guaranteed freedom of worship and, indeed, lavish religious establishments on English soil. Somerset House was home to both Henrietta Maria and Catherine, and was the focus of popish plots. Morton challenged the traditional historiography of Catherine of Braganza as passive and insignificant, arguing that she was at the centre of a faction promoting Portuguese and Italian baroque Catholicism as opposed to the Francophile elements of Charles II’s court. She patronised foreign Catholic artists, established a vogue for Italian art and, through her court composer Giovanni Battista Draghi, influenced the music of Henry Purcell. Her chapel was popular as a place to hear Italian music and singing, and an image of her as St Catherine was widely disseminated both by Catholics and Protestants. The iconography of Lely’s depictions of Barbara Palmer, Morton argued, was deliberately designed to undermine Catherine’s self-portrayal, while Dryden’s ‘Tyrannick Love, or, the Royal Martyr’ was an overt allegory of Charles’ mistreatment of Catherine. Morton also noted that Tangier, acquired by Britain as a dowry for Catherine, proved to be a troublesome colonial possession and was staffed by Catholics. Morton argued that the Popish Plot, rather than being conceived as an attack on James, Duke of York out of fear of his future succession to the throne, was directly targeted against Catherine. Rather than being a crisis about the future, the Popish Plot was about unresolved tensions in the Restoration settlement. The eventual acquittal of George Wakeman was equivalent to an acquittal of Catherine, and once it became clear that the Queen’s involvement in the Plot was a fiction, the entire construction began to unravel; after the Wakeman trial there were no more convictions in London itself. After dinner, Dr James Kelly briefly introduced the new ‘Monks in Motion’ project, Dr Simon Johnson outlined Downside Abbey’s future plans for its library, and I outlined the Diocese of East Anglia’s plans to celebrate its fortieth anniversary in 2016, delivering a short paper entitled ‘Developments in East Anglian Catholic History’. The third day of the conference began with a panel on the legacy of Marian Catholicism, beginning with a paper from Dr Elizabeth Evenden on the Spanish influence on the Marian Counter-Reformation and the ways in which English hostility to the Spaniards was managed. Evenden noted that Foxe pays little attention to Spanish involvement, since it was part of his propaganda agenda to blame specific Englishmen for the Marian persecution. She challenged the idea that persecution of Gospellers was something Spaniards did not become involved in: although Phillip was forbidden to appoint anyone to any office in England, in the 1560s it was noted that Bartolomé de Carranza ‘met with those who worked as inquisitors by order of the Queen’ when he was in England. Evenden explored the ways in which the authorities attempted to deal with violence (mainly in London) against friars and at public worship. The second paper of the panel was delivered by Fred Smith on the deprived cathedral clergy in the early years of the reign of Elizabeth, and argued that this group did more to maintain a distinct Catholic identity than has previously been recognised. Marian cathedral clergy defended Marian ideas of unity into the Elizabethan period; they regarded unity as a defining feature of Catholic identity. Smith challenged the traditional historiography that sees the senior Marian clergy as divided after 1558, leaving English Catholics leaderless. This is not borne out by what these clergy actually wrote, in which they encouraged Catholics to profess their faith publicly and withdraw themselves from Protestant services. Almost 50% of deprived clergy remained in England, and developed networks of principled recusancy. In Lancashire, Laurence Vaux and John Morwen were at the centre of such a network. Vaux returned to Lancashire from Louvain in 1566 with a circular letter from Nicholas Sander insisting on Catholics absenting themselves from church. Morwen distributed a tract in the streets of Chester in 1561 calling on people to stay away from church. The two men developed an extensive network of recusant priests, displaying a surprising degree of mobility and interconnection normally associated with the seminary priests. Henry Cumberford, the ex-Precentor of Lichfield, was critical to the survival of Catholicism in Yorkshire. Cumberford claimed in his examination to have received a direct message from an angel telling his to ‘pounder well the third Chapter of Danyell’, on the refusal of the Israelites to worship false gods (TNA SP 12/74, ff. 87r-v). 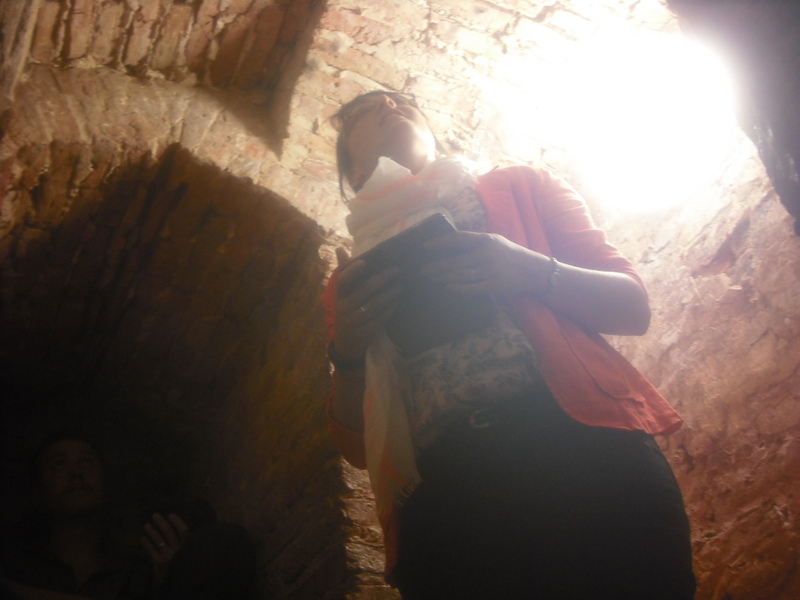 Dr Ceri Law spoke on Catholic assessments of Mary’s reign in the works of Elizabethan Catholic polemicists. In November 1558 the Count of Feria wrote to Phillip II to inform him that Queen Mary had died and that people had already started to treat religious images with disrespect. Accordingly, the traditional historiography portrays the end of Mary’s reign as a total collapse. Nicholas Sander reported to Cardinal Morone in 1561 that the simultaneous deaths of Mary and Cardinal Pole were manifestations of divine wrath. Sander portrayed Mary as under the protection of divine providence, and presented her brief reign as a beacon of hope to Catholics. He attributed Mary’s childlessness to an ongoing punishment for Henry’s break with Rome; Mary’s death was a punishment for the English people. This account of Mary’s reign had a limited usefulness, because as Elizabeth’s reign endured England seemed like a nation abandoned. Around 1600, Robert Parsons interpreted Mary’s reign as largely unsuccessful because her advisers were divided. A group of covert Protestants was led by William Paget that undermined Mary’s regime. Even devout Catholics were drawn to these divisions. In 1605 he wrote that Mary and Pole made an egregious error, missing an opportunity by not calling upon the expertise of the Jesuits. These accounts tell us as much about the context in which they were written as about Mary’s reign. Catholics had to be careful not to denigrate Mary in the course of wider attacks on her father and half-sister. Mary was portrayed as ‘the only true Tudor’. This ‘special pleading’ stopped in the early seventeenth century and started to slip out of historical memory. In 1603 William Watson noted that seminary priests were sometimes taunted as ‘old Queen Mary priests’, although real priests ordained in Mary’s reign had a distinct legal status. Francis Bacon wrote in 1599 that the difference between Marian and seminary priests that one was a priest of superstition, the other a priest of sedition. Cecil pointed to the ‘gentleness’ shown to Mary’s bishops by Elizabeth, in contrast to Mary’s treatment of Protestants. Thomas Watson, the ex-Bishop of Lincoln at Wisbech Castle, was described as ‘altogether sour’. Cecil made the legacy of Marian Catholics toxic by portraying the survivors as ineffectual. Roger Martin’s representation of Mary’s reign as a brief oasis may have been more influential than Parsons’ polemical take on Mary’s regime. I chaired the final panel of the conference, on the theme of ‘Catholics and Local Networks in the Eighteenth Century’. This featured a paper from Carys Brown on the Rookwoods of Stanningfield between 1689 and 1737 and a paper from Tom McInally on the arrest of Patrick Weems SJ in Aberdeen in 1720. I was delighted that Carys was speaking about the Rookwoods, which were the theme of her undergraduate dissertation, and she focussed on the petition sent by Thomas Rookwood’s neighbours in 1703 to Queen Anne, pleading for him to be allowed to return from exile. The question Carys posed was an excellent one: why was a family so intimately and repeatedly associated with treason considered so valuable? She argued that ‘the ecumenism of everyday relations’ was paramount, and that rather than self-conscious toleration, the Rookwoods’ Protestant neighbours were prepared to ‘get along and get on’ with the family in exchange for their discreet practice of the Catholic faith as well as the continued public dominance of the established church. Carys argued convincingly that the expenditure of the Rookwoods was crucial from the local economy – one way in which her research differs from mine is that she has thoroughly analysed the Rookwoods from a financial and economic point of view. The Rookwoods provided employment and the relationships they built with Protestant gentry were based on social credit: the ability to extend and receive credit was an important mark of social status, and the fact that the Rookwoods were individuals of good credit and reputation came before and outweighed their religious differences. 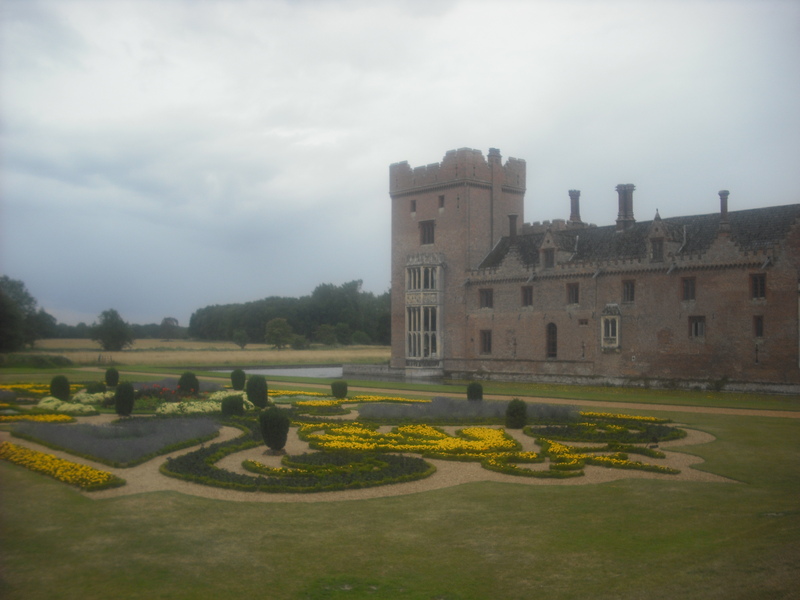 Once again, I organised this year’s conference outing which took us to Oxburgh Hall in West Norfolk, the home of the recusant Bedingfield family. Michael Hodgetts delivered an expert guided tour of the hall, culminating in the fifteenth-century King’s Room and the attached priesthole, which the more adventurous delegates climbed into. 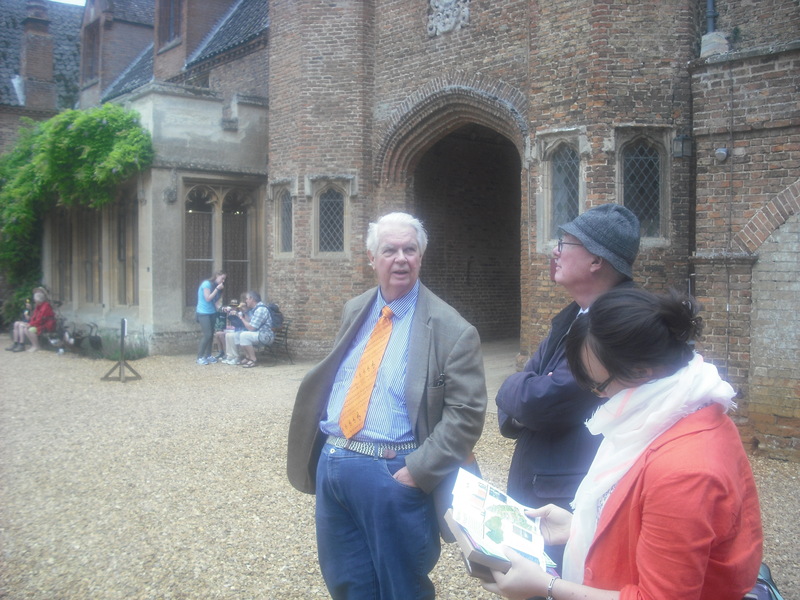 Finally, delegates had the opportunity to view the Catholic chapel (1835) in the grounds before returning to Cambridge. The conference was a great success and congratulations are due to Hannah Thomas and Liesbeth Corens for such a seamlessly organised event! This entry was posted on July 22, 2015 by jacobite.